I have never actually been for a facial before, it’s something I’ve kind of always wanted to do but never have. When an invite from Louise at U. and Your Skin dropped into my inbox I knew this was the time. 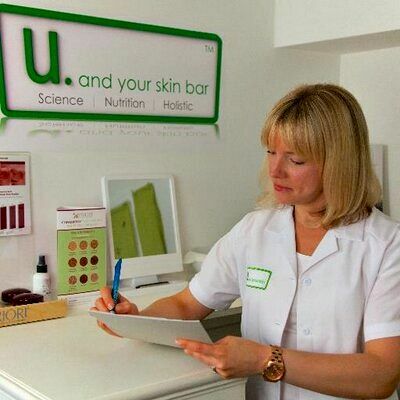 Louise had seen my interview as blogger of the week on Get The Gloss and wanted me to come down to the salon to try out a facial and experience her 3D approach to skincare, which involves incorporating scientific, nutritional and holistic methods to nurture skin back to health. I was really interested in learning more about my skin as more recently my skin has been very dry on my forehead and I wasn’t too sure why, plus any moisturiser wasn’t really cutting it so I was hoping Louise would be able to tell me why. I was excited to try out one of the signature facials and so I booked in for my facial about a month or so in advance. Louise is a very popular lady and has her own salon in her home town of Norwich and also works out of the pop-up salon in Kensington most weeks. When my day arrived I headed down to the Skin Lounge in Kensington. The salon itself was lovely and I felt at ease straight away when I met Louise. We first of all went through my skin concerns and also through info on my diet, medical history, all the finer details that could be affecting my skin and skincare routine. After that Louise explained what she was going to do. I was going to have a bit of a taster session where she would be able to take a look at my skin after cleansing properly and then followed by a treatment mask and also moisturising.Throughout the facial Louise also used various massage techniques which were very relaxing. The facial itself from start to finish was an enjoyable treat just like a massage or any treatment would be. It was great to have a chat and talk through my problem areas and what I can do to rectify these. Louise also recommended two products to stick to which may help my skin repair its lipid barrier, which is what I’m missing (more of this in the video). 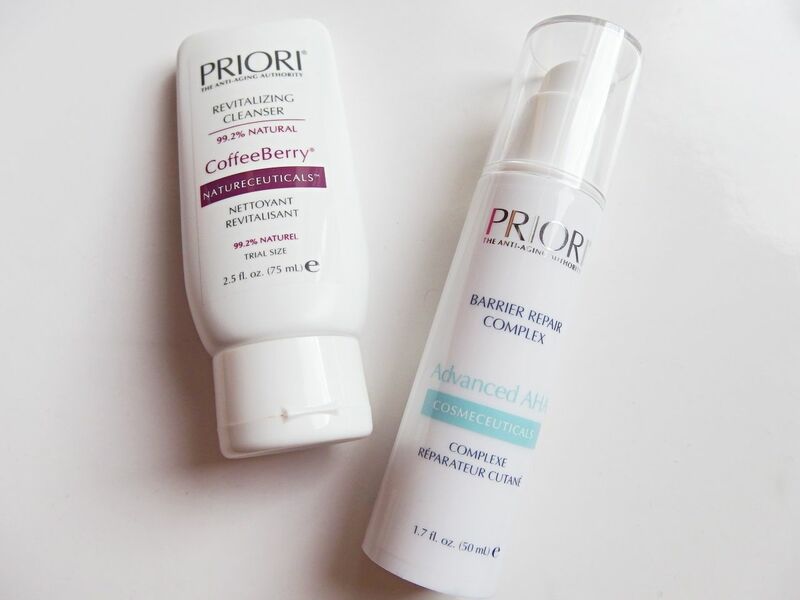 These were the Priori Coffeeberry Revitalising Cleanser and also their Advanced AHA Barrier Repair Complex Moisturiser. My Kiehls moisturiser has just run out so it was perfect timing to try a new one! After the facial I left the salon with no make-up on and even took the tube like this. You might be thinking big deal, but that really is a big deal to me and one of the reasons I probably have never been for one as I am pretty terrified of having no make-up on! However after the facial my skin is feeling and looking much better and I am feeling much more confident about my skin and happy to not wear as much make-up when I go out. I really enjoyed the experience and thank you so much to Louise for inviting me down. I am going to be using the two Priori products and sticking to them for a good bit so I’ll let you know how I get on with them. Watch my video on my first facial to hear lots more from Louise about U. and Your Skin, my treatment and why you shouldn’t exfoliate in summer! Don’t forget to subscribe as well to my YouTube channel. To find out more about the treatments Louise offers and to book an appointment click here.